The countdown begins, and I’m super excited to announce the guests I’ll be having at my booth for New York Comic-Con this weekend! It’s always a pleasure and honor for me getting friends to come do some signings, but this year just seems to have some more excitement for me. 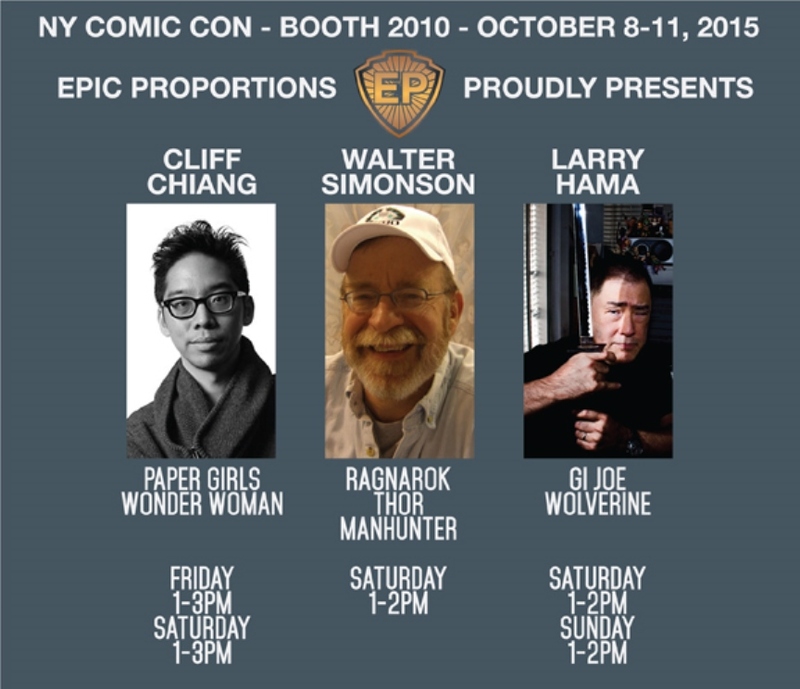 Maybe its because the only place you’ll be able to meet Cliff Chiang, who will be at the Epic booth 2010. Or maybe it’s because Cliff will be debuting Paper Girls, his new Image Comics book with Brian Vaughn. And maybe it’s because I’ll have his NYCC Exclusive Giclee art print. Not only will you be able to meet Cliff Chiang (this will be the only place you can find him during the Con), but we’ll also be offering these beautiful limited edition giclee pigment ink art prints! 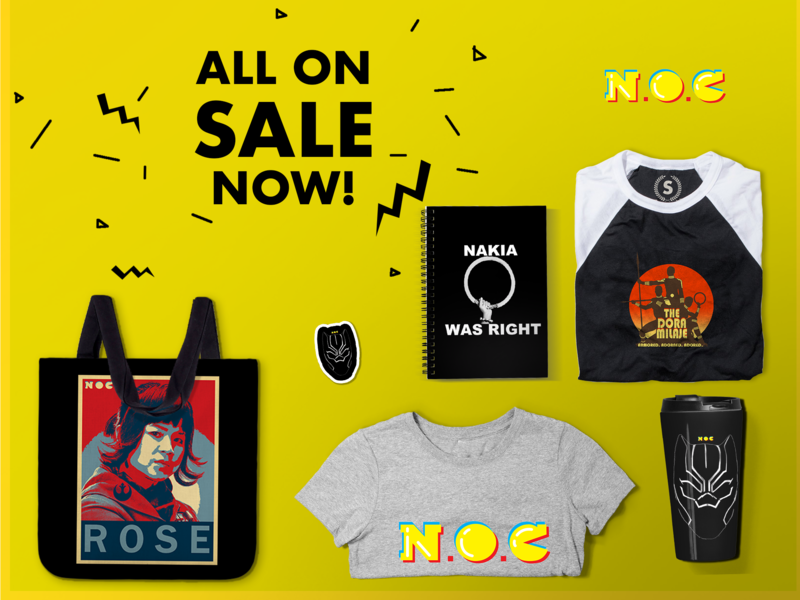 And you can ONLY get them here at our Epic Proportions Booth 2010 during the NY Comic-Con!!! Prints will be limited to 100 and are solely on a first come first serve basis. Each print is sized at 13×24″ and comes polybagged and signed by Cliff himself. You can also come meet Cliff on Friday October 9 from 1-3pm and on Saturday October 10th from 1-3pm. Or maybe I’m excited because Larry Hama will be at the booth both weekend days. Or maybe it’s because Walter Simonson will be there on Saturday. Or maybe it’s because all three of these guys will be at the booth on Saturday at the same time! Yeah… I think that’s why. Come by Epic Proportions Booth 2010. It’s going to be fun. Jerry Ma is the founder of Epic Proportions, Art Director for SIUniverse Media, and a graphic designer based in New York City. 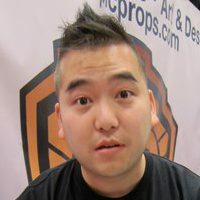 His art and design work has appeared at the New York Asian Film Festival, Linsanity the documentary, Cherry Sky Films, TOPPS, Upper Deck, Cryptozoic Entertainment, The New Press, Gap Kids, Aeropostale, Hanes, Champion, and C9.